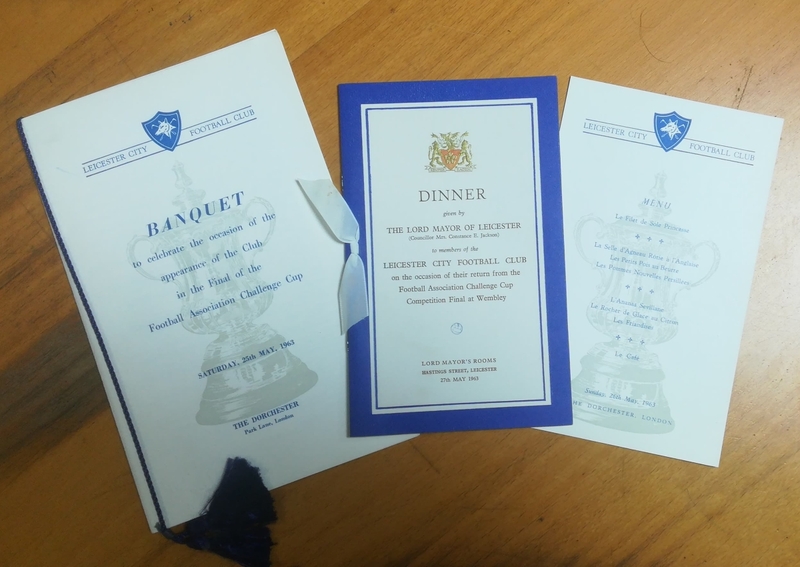 Here we have a trio of items from Leicester City’s post-FA Cup celebration dinner in 1963. 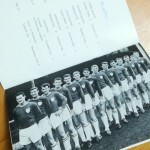 The event was held at The Dorchester following The Foxes 3 – 1 defeat by Manchester United at Wembley. 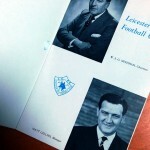 Ken Keyworth scored an 80th minute goal for Leicester which did give them a glimmer of hope, but David Herd scored his second goal five minutes later to give United their two goal cushion back. It was Leicester’s third cup final, and a third cup final defeat.